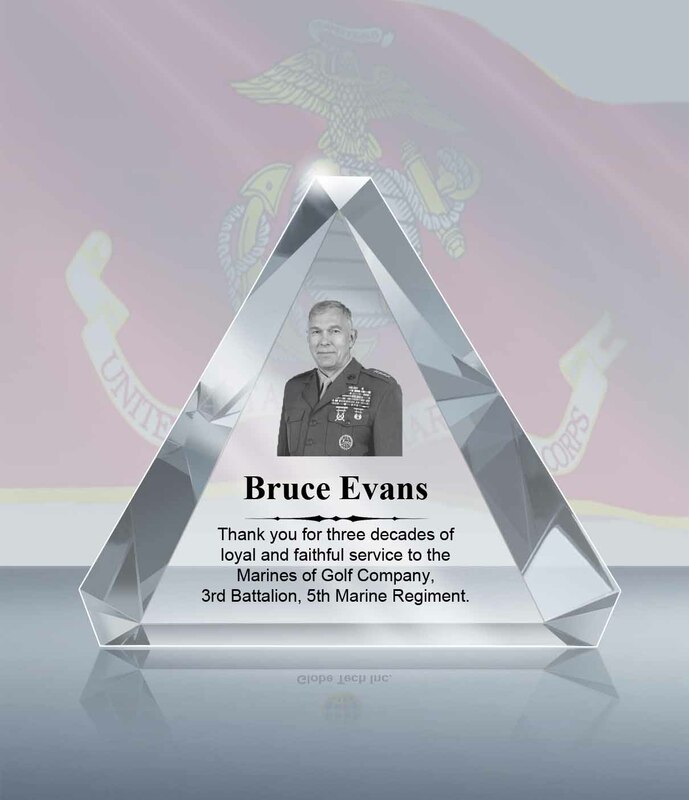 Thank You!Bruce EvansYour service as Guest of Honor for the 244th Marine Corps Ball will not be forgotten. 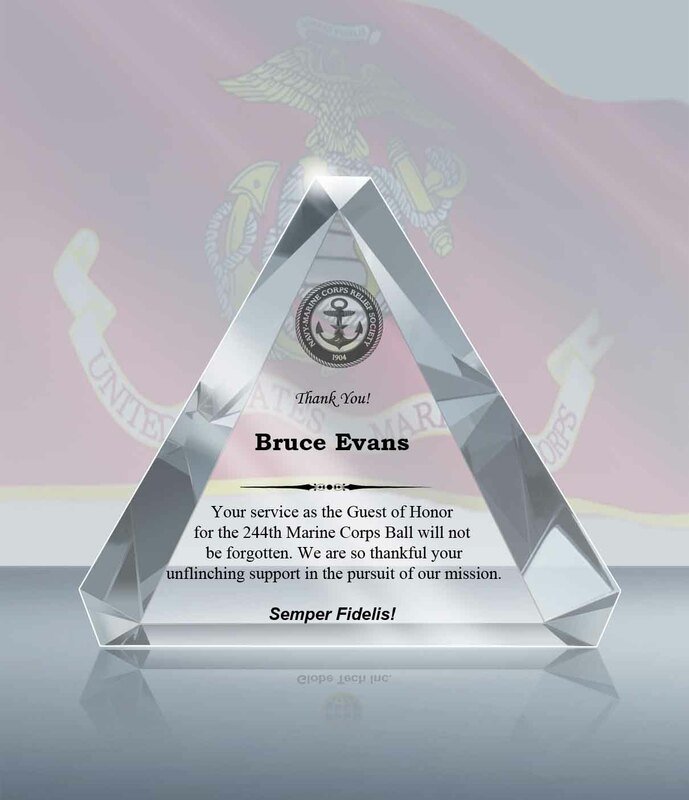 We are so thankful for your unflinching support in the pursuit of our mission.Semper Fidelis! 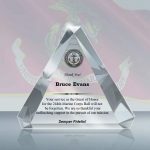 L - 7"	 XL - 9"
3rd Battalion, 5th Marine Regiment. 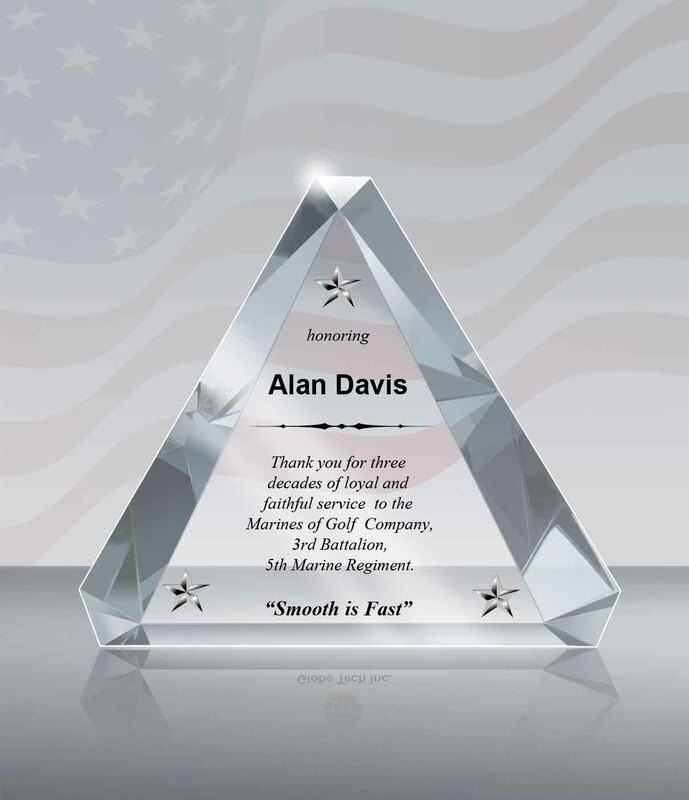 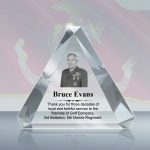 This Crystal Trinity Plaque features a unique triangle shape and beveled edges, making this a stand-out award for contributing individuals. 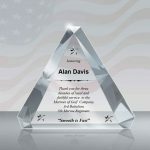 It is widely used as a recognition plaque for a range of occasions, including corporate appreciation and celebration event, church events and pastor appreciation, teachers and coaches, and many more.